From highway head West onto Utah trail. Turn left on sunset. Homes will be on the left hand side. Hello, I’m interested in 74768 Sunset Drive and would like to take a look around. 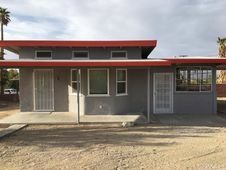 The details on 74768 Sunset Drive: This house located in Twentynine Palms, CA 92277 is currently for sale for $169,000. 74768 Sunset Drive is a 853 square foot house with 1 bed and 1 bath that has been on Estately for 6 days. 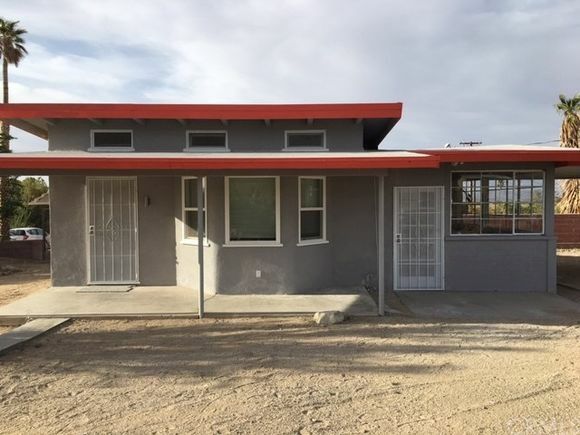 This house is in the attendance area of Palm Vista Elementary School, Twentynine Palms Junior High School, and Twentynine Palms High School. Listing Courtesy of: CRMLS_CA and Triad Realtors. Based on information from California Regional Multiple Listing Service, Inc. as of 17:02 on Apr 23.